How to start & make money - By Steve O. C.
If you are considering agribusiness in Nigeria, consider Goat rearing. It’s profitable if you are ready for the venture. Agriculture is a business like any other enterprise. In Nigeria, Agribusiness is the next big thing after the collapse of oil. Do a lot of people really consume goat meat? Aside from cow meat, goat meat is another type of meat widely loved and consume by many in Nigeria. And the reason is due to its unique taste or aroma. Goat meat is highly nutritious because it’s leaner, it has low cholesterol which is very good for people who have a preference for low energy diet and most time doctors do recommend it to some patients. So let me conclude that many Nigerians eat goat meat and its commercially viable and profitable venture in Nigeria. 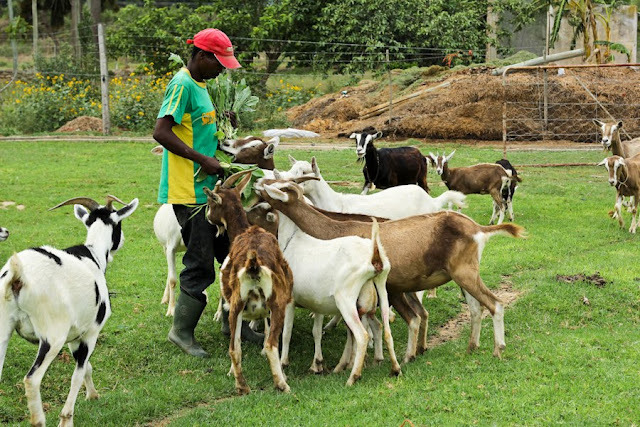 Is Goat Farming Business Profitable in Nigeria? A healthy and well-matured goat could weigh about 100-150 pounds (that is if you want to measure your goals in pounds, most seller uses this method). So, for that pound, a goat should roughly cost ₦50,000 or even more. And let’s say you have about 100 goats in your goat farm, you would be selling for about ₦5,000,000. Let’s assume that the cost of feeding and labour is even as high as #3,000,000, you could still be making as much as ₦2,000,000 every year. (The estimate is as of 2016 and your environment could influence the price, so you have a little marketing research to do in your environment), incredible, right? So see, goat farming is a good investment, though no business makes you rich overnight. Success is sudden night flight. Good thing come to those that invest and nurture their investment. There is no green grass anywhere. Every green grass you see someone plant and nurture the green grasses you see at hillside. How much capital do I need to set up my goat farming business? Compared to farming other livestock, goat farming business requires much capital. You don’t need millions of naira to set up a goat farm. You could begin small and gradually expand. Patience is the key to running a successful business. Don’t every forget agriculture is a business. Just bears in mind that you are setting up commercial goat farming. When you’re in the business, as profits flow in, you can then put in more goats. Do I need to be an expert before setting up goat farming in Nigeria? The answer to this question is, NO! You don’t need to become an expert nor a professional in agriculture to be successful in this business. All you need is the passion and determination that will keep you moving forward. What other by products do I gain from goat farming? As interesting as it might be, the astonishing fact about rearing goats is that goat is a multifunctional animal. You don’t only gain from selling your goats as meat, but you can also gain more from some of it’s by products such as milk, fibres, skin, and manure. Goat Milk: Though it may not be that popular or widely consumed in Nigeria, goat milk can be produced from goat. Goat milk is reported to be low cholesterol and it is non-allergic compared to cow milk. The nutrients in goat milk are reported to help in improving appetite and digestive efficiency. It also has anti-fungal and antibacterial properties which can be utilized in the treatment urinogenital diseases of fungal origin. Other dairy products derived from goat are milk, yoghurt, cheese, and butter. 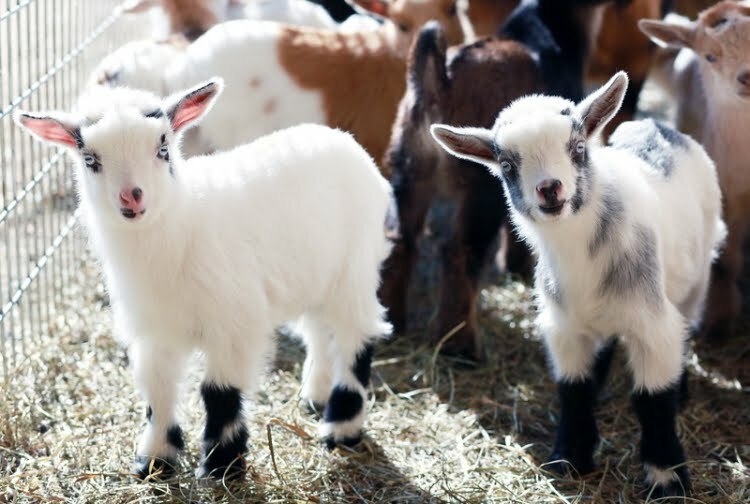 Fibers: some breed of goats like the Cashmere and Angora can produce high quality fibers. These can also be sold for a maximum profit. Hides and skin: every breed of goats produces hides and skin, which can serve or use in the production of leather items. But know that the breed which produces high quality hides and skin is the Black Bengal goats or Kalahari Red goats (can be mostly found in Nigeria). They have thick hides and skin which are not only sold in Nigeria but also internationally, and because it extravagantly quality. Their skin has a high demand. If you intend to deal within goat hides and skin, make a market research about it and know who your buyers are. Manure: most farmers love and prefer to use organic manure than using artificial fertilizers to grow their crops. Goat’s faeces are high organic manure (fertilizers) that is used for the rapid growth of farm crops. You as a goat seller can make a good income from these. What weather condition is appropriate for rearing goats in Nigeria? Unlike some livestock farming like chickens, snails, fish and the likes, goat is one animal that is never selective of weather condition. And to cap it all, Nigeria weather is very suitable for rearing goats in any state. Now we have discussed the considerable factors, let’s move to the main point; how to start goat farming in Nigeria. Goat farming business plans: A good business should have a business plan to assist and guide you through execution of your set goals. Alongside, you should have a record keeping if need maybe. It should document what has been sold, purchased. To know when you are gaining or losing. Agriculture is a business, so planning is inevitable except you want to fail. 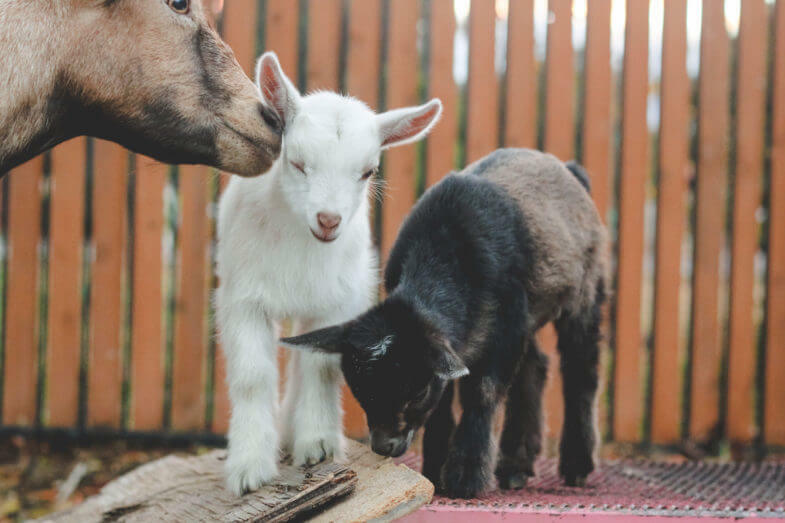 Define your set goals and are of specialty in goat farming: When setting up your goat rearing business, you should determine the main reason why you are venturing into goat farming; are you in it for meat, milk, or for their skin? Make a market research of the one that is under a high demand and more highly profitable. Land location: when you want to get a land for your goat farming, select a location that is good for pasture or grazing (just as you would do in cattle farming/Ranching). Check to see if the land is not far from town or market for easy access. If possible, let there be a market near the farm land, so you can have easy access to get any types of equipment you might need. Housing: when building a pen for your goat, builds one that will shed them from rain and the sun. You can put electricity if the need may be. The shed should be well fenced to prevent thief and burglaries. Also, the pen should be clean, should be free from dampness and it should be well ventilated. The goat pens should also be free from pest and rodents. You should always use fresh hay or straw for bedding. Initiate activities like introducing toys or so your goats can move around. This also contributes to making them healthy and active. After you have set up the housing (goat pens) for keeping your goat, the next step is to purchase your breed. You should purchase high-quality breed goat. It is recommended that you should buy at least two bucks (male goat) and much more (female goats). This is highly essential. This helps in the increase of the numbers of your goat in your farm. You can also purchase hybrids goats if you want. That is, a combination of different species of goat. Make sure the goats you are purchasing are in good health and have no sign of diseases. If you are purchasing a baby goat, make sure they are properly vaccinated. You can feed your goat with most types of crops, corn, and leaves since goats are ruminant’s animals (though like human, they have their different taste, i.e. certain goat may not eat something other goats eat). However, it is advisable that you should have a grazing place so that the cost of feed can be lowered. There are also specially formulated feeds you can purchase in the market; these feeds can make your goat grow faster and big. The only disadvantage these feeds can be costly compares to pastures. Sometimes, most farmers do produce their own feed; you can make yours if you can just make sure the feed has about 11%-18% of proteins. Here is the goal, I previously wrote that when you are starting up your goat farming you should bear in mind that you are setting up a commercial goat farming business. You don’t want to use your goats for experimenting like those who are rearing two or few goats. With the help of a veterinary, you will know the right nutrient, mineral or medicine that will be administered to your livestock that will maximum your profit and also you can learn new tips from them. If you want to do it yourself you might lose quite a number of goats in the process. Goats maturation: This is the process of goats becoming mature. In goat, puberty age is between six and 12 months (though most times it varies in breeds. Sometimes it depends of the nutrients and feed they take. You should note that female goats go into estrus every 21 days for three to 50 hours. At this stage, some natural enough mating can begin. Nevertheless, since the advance of technology, some modern farmers practices artificial insemination. 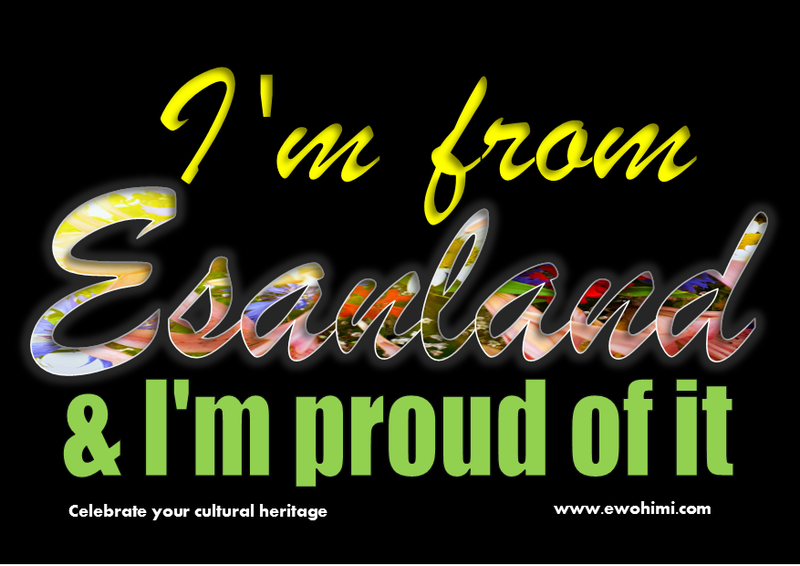 It is claimed that it allocates straight forward entrance to a wide variety of bloodlines. Marketing your goats: Before you start your own goat farming. You should make a market research to know how much others are selling in the market so you’ll have a better understanding of goat business in your area and so that you won’t sell your goat below the market price. Other important things you should know about goat farming in Nigeria. Tapeworm: You will notice symptoms like; diarrhea, constipation, some part of tapeworm may be seen in the faeces. Tuberculosis: You will notice difficulty in respiration, coughing, irregular low-grade fever of long period, loss of body weight and anaemia. Salmonella infection: Noticeable symptoms are like loss of weight and low milk production. 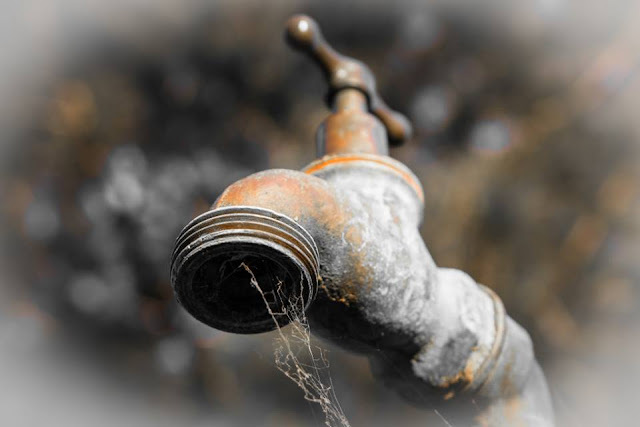 This disease is mostly caused by dirty or contaminated drinking water. Rinderpest: These symptoms ulcerative lesions will appear inside the lower lip and gums, a mild thermal reaction and diarrhea. 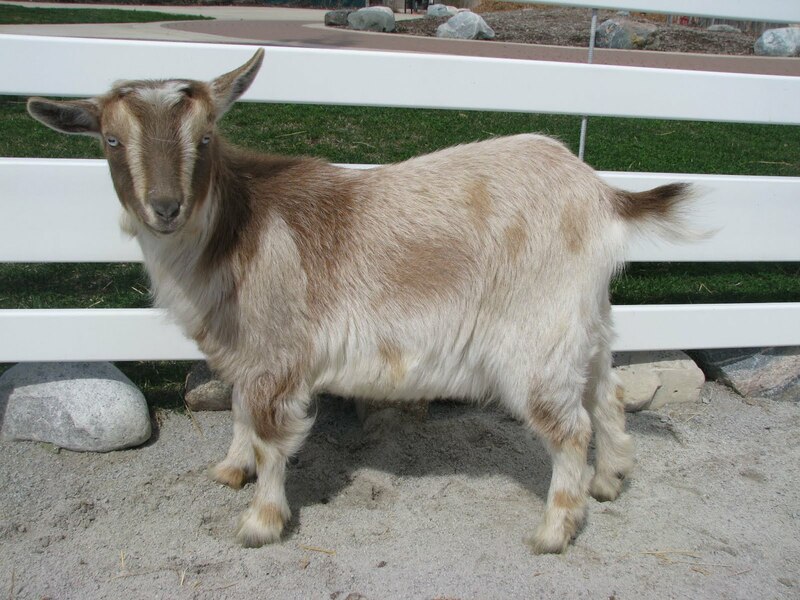 Nitrate/nitrite Poisoning: Noticeable symptoms include; urine tested positive for nitrate/nitrite, respiratory difficulty staggering gait, the goat blood becomes chocolate brown in colour. Most time death might occur. These diseases listed above are just a few to mention. There are still many of them. These are the more reason a veterinary is highly recommended and essential to goat farming. If your goat farming business is well managed by a competent veterinary, your goats will grow healthy and you will gain more than lose. · They won’t drink nor eat. · Kicking or biting their stomach; bloated. 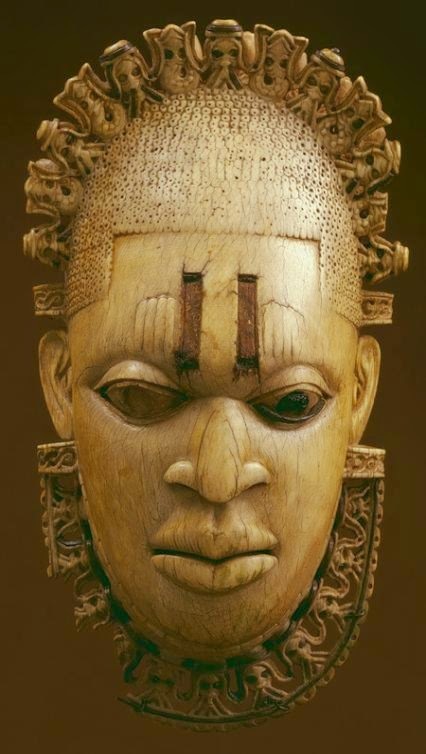 · They will have a green or cloudy nasal discharge. · Showing symptoms of pain like grinding their teeth. · They have loose faces which indicate diarrhea or problems in their bowel movement. · Having a rapid or slow breathing. · They have a hard time urinating or they suffer pain when urinating. · Pressing their head against fences or walls. The heat period is when a female goat is ready to mate. · The doe wags her tail. · The doe act bulky or charged; the goat mounts other goat’s in the herd or allows them to mount her back and will stand for mating. · The doe urinates often. · Milk volume changes; she may resist getting on the milk stand and you may get little or no milk from the doe. · Her tail gets sticky; the tail may become red, swollen, and wet with a gel-like vaginal discharge. · The doe appetite goes up and milk production goes down. · The doe’s belly tightens. · The doe’s personality changes; this is caused by a change of hormone and progesteronee. · The buck’s personality changes; the buck may become aggressive toward the breed doe. · The doe’s udder swells. · The doe snores; all goats snore but a pregnant doe snore more loudly. With all we have discussed, you can see that starting a goat farming business in Nigeria is quite easy compare to the rearing of other livestock. We wish you successful goat businesses.